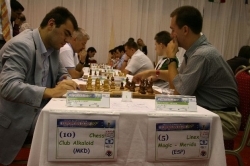 Crucial fights were staged in the penultimate round of European Club Cup in Kemer, Antalya. After Round 6, Linex Merida is leading with 11 points in men. They have to fight successfully against Saratov in the final round while Bosna Sarejevo and Ural Sverdlovskaya are in close range for the struggle for the 2007 European Club Cup title. 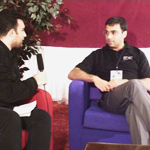 New videos including a short interview with World Champion GM Vishwanathan Anand,GM Humpy Koneru, President of Monaco Chess Federation Jean-Michel Rapaire and the 2007 European Champion and runner-up in French Championship GM Vlad Tkachiev. 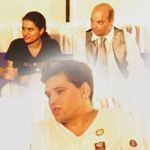 Sixth round was one of the most crucial rounds of the event in terms of determining the leader. 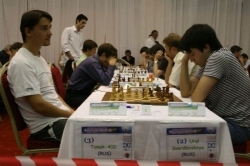 On the first board, Spanish side Linex Magic won a narrow victory against Tomsk-400. This defeat might cost Tomsk their third consecutive European Club Cup title. Karjakin won against Adams but it was not a match for the victories of Rublevsky and Cheparinov's victories against Kas?mdzhanov and Bologan while the other games ended as a draw. With this win, Linex Magic became the sole leader before the final round. If Linex Magic wins against Economist Saratov, then the Spanish team will become the new European Club Cub. 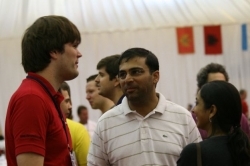 In round 5 of European Club Cup Vishy Anand played his first game in the event against GM Kazhgalayev. 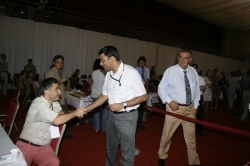 He was welcome by applauses when he entered the hall and took his seat. After Round 5, Ural Sverdlovsk, Tomsk-400 and Linex Merida are sharing the first place with 9 points. In women's event, Monaco is leading with 9 points followed by Southern Ural Cheliabinsk and Fince St. Petersburg. The leaders after round 4, Alkaloid were defeated by Linex Merida by 4.5-1.5 despite Mamedyarov's victory against Gata Kamsky, Merida won an important match and now sharing the first place. Ural Sverdlovskaya won against Ashdod City with the same score as Merida made against Alkaloid, 4.5-1.5 . Tomsk-400 won 6-0 against Czech side Novoborsky and showed that they are going to defend their title and win the event for the third consecutive title until the very end.